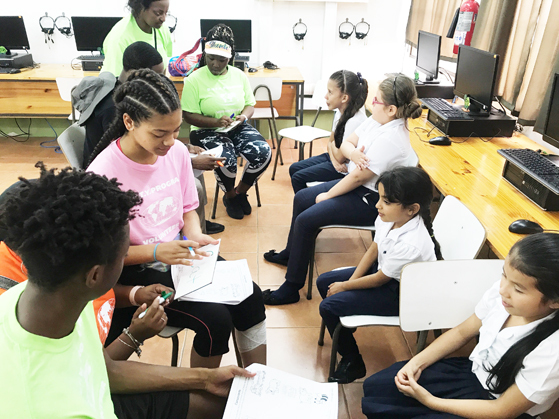 Seeing Costa Rican school children thrust their arms out of windows to excitedly wave hello, was an eye-opening experience for Raines High School students Dana Adams, Le’Shonte’a Ethridge, and recent graduate Joshua McAfee. 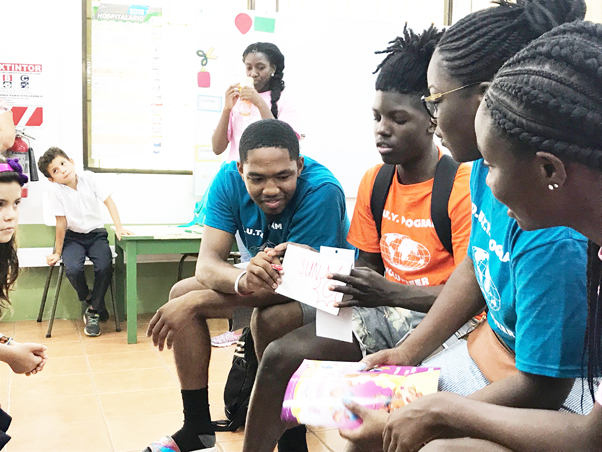 The three were among 17 DCPS students who spent two weeks in June in Costa Rica teaching English to local school children as part of the cultural immersion D.U.T.Y. (Duval.Urban.Traveling.Youth.) program. The school children’s thirst for knowledge was just one of the highlights for the Viking contingent. 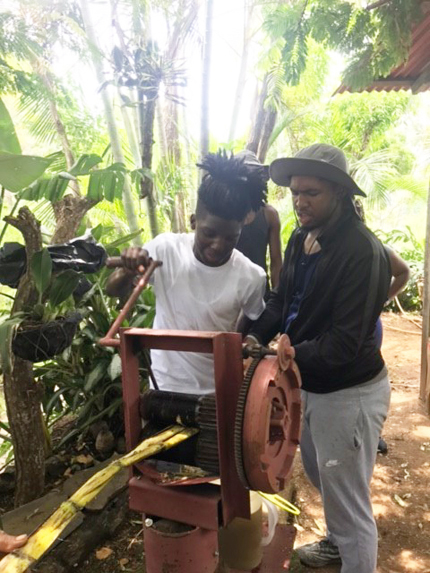 In addition to teaching English, the students also had the opportunity to work on a coffee farm, dig wells, learn meringue and salsa dancing. The group also visited both the Pacific and Atlantic Oceans and took a trek through the Rainforest. 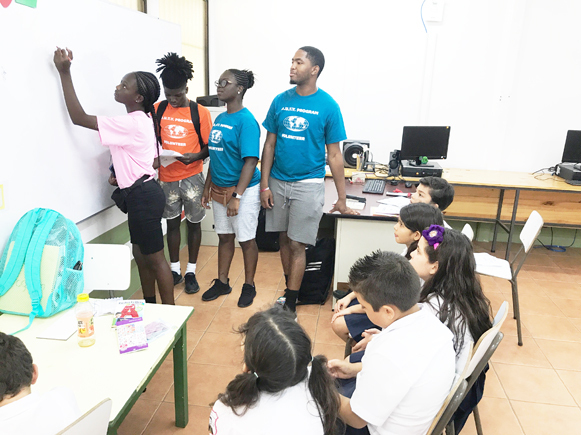 “It’s all part of the three C’s,” said Bostic-Jones, who created the program in 2015 as a way to help urban youth broaden their minds and develop social consciousness. 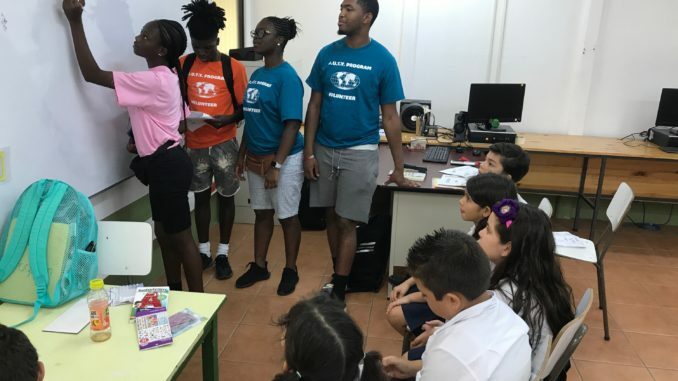 The three C’s are Conservation Work (students worked on a coffee farm), Community Service (teaching English to the local school children) and Cultural Immersion (they stayed and fellowshipped with local host families). One of the first students to participate in the program can attest to that. As a junior in 2015, Omar Howard had never stepped foot on a plane. However, he agreed to go on the trip and despite having a monkey steal his swim trunks one night, Howard says his trip was one of the best experiences of his life and ignited the globetrotter within him. As a junior at the University of Florida minoring in Spanish, Howard just completed a study abroad semester in Madrid.